Girls can chose from a myriad of instruments at Hanford. Music is part of everyday life at Hanford be it singing in Chapel in the morning or joining the orchestra. None of this would happen without the infectious enthusiasm and passion of the girls for singing and the wonderful bank of peripatetic music teachers who work with the music department at Hanford. Hanford has a wide range of instruments on offer to the budding musician and can always find a teacher to cater for more unusual options. It is therefore unsurprising that over 90% of girls choose at least one instrument with many opting to play two. In this our Director of Music is supported by a raft of talented peripatetic instrumental teachers. 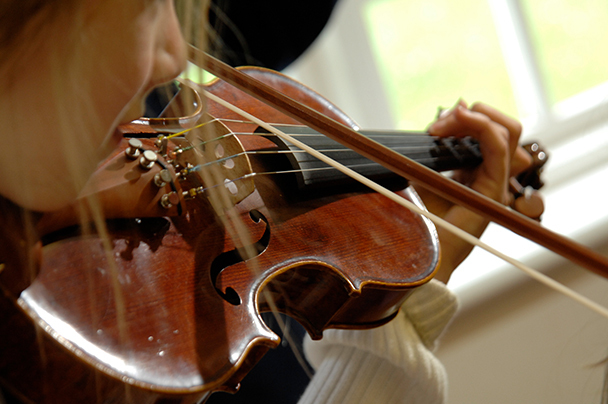 On arrival girls are expected to try a couple of options before finding an instrument that they will enjoy learning. Visit us on one of our Open Mornings and you will be able to hear for yourself the impressive standard of music at the school.